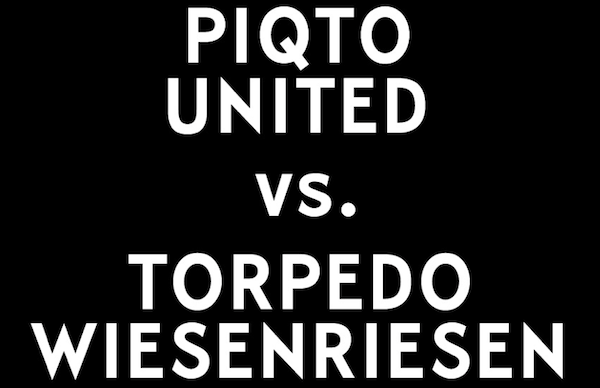 Hugo Hoppmann is a multidisciplinary graphic designer, who recently graduated from ECAL in Lausanne/Switzerland and his Diploma thesis PIQTO UNITED really got my attention. Via a quote on QUOTE.fm I stumbled upon Hugo’s site, where I wandered around because I liked the design of the page. And then I saw his diploma thesis. I don’t know if the soccer association would allow such a jersey design or if every jersey has to look the same, besides number and name. 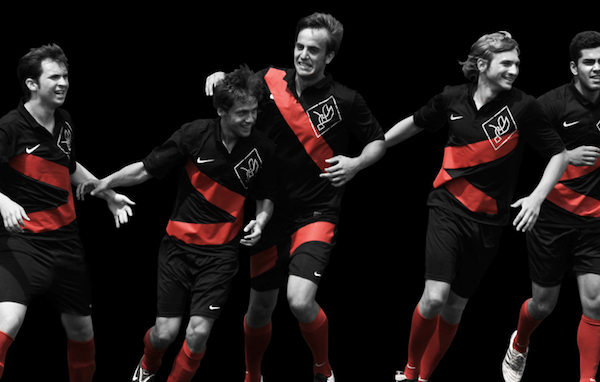 But I really like the idea of the jersey design. 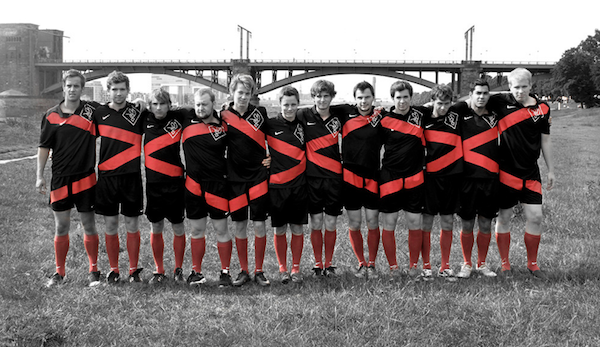 Every player has a unique jersey but in total the team creates a matching appearance, which wouldn’t work if one player is missing. Like Hugo explained it visualizes the importance of a team. The logo is the abstracted version of a hummingbird. I couldn’t really figure out why, but I like the symbol. And a hummingbird’s movements are very fast but precise. If you take a close look at picture below, the last symbol on the right of the bench also creates the word “elf”, which means eleven. And soccer teams are also called “Elf” in Germany. Pretty impressive. 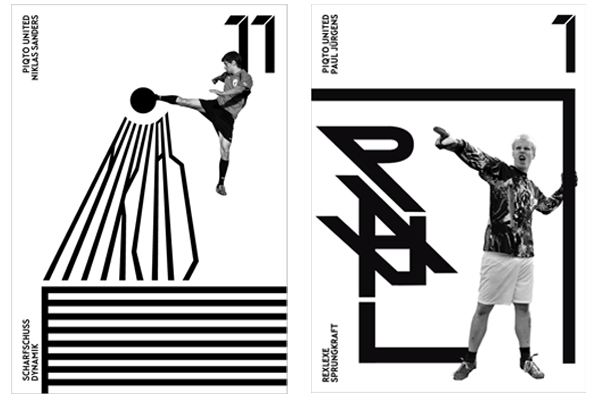 Besides the jersey design, Hugo Hoppman created a whole visual identity for the team. 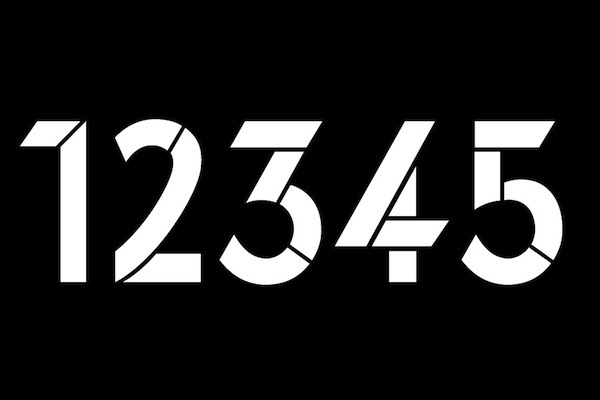 He created the typeface P. U. Brueder, which sets a special focus on numbers. 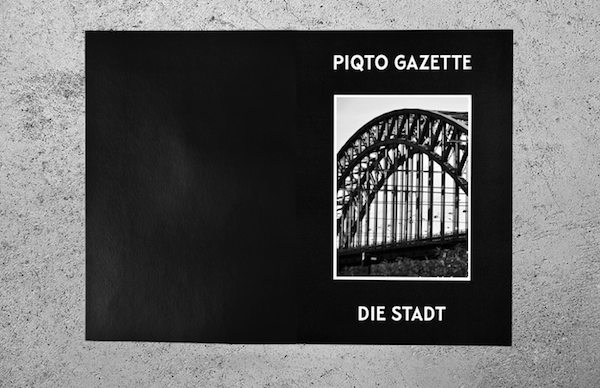 Another feature is a magazine for the team called PIQTO GAZETTE. 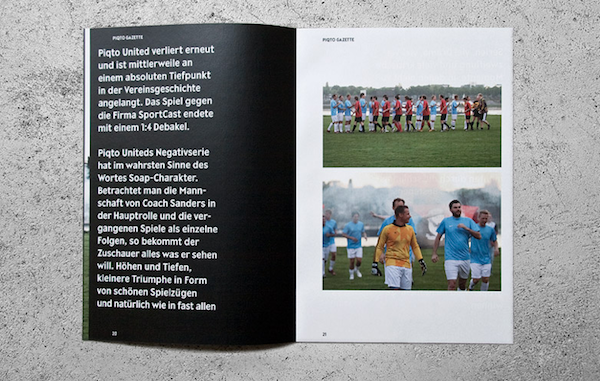 It consists of four parts and is divided into: DIE STADT (the city), DIE MANNSCHAFT (the team), DIE ANHÄNGER (the supporters), DIE REPORTAGE (the documentary). 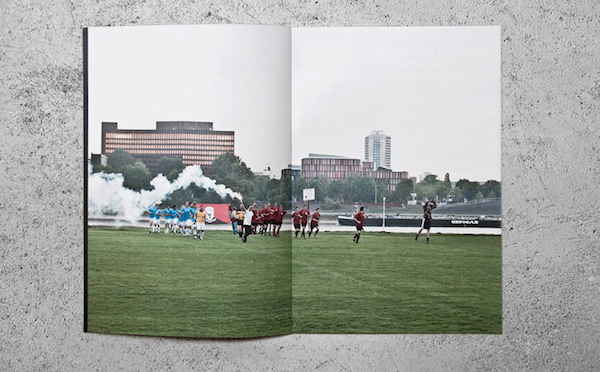 The magazine includes photos and information about each topic, as well as interviews with fans, players or managers of the team. The visual appearance is nice, it is organized and fits into the general appearance. 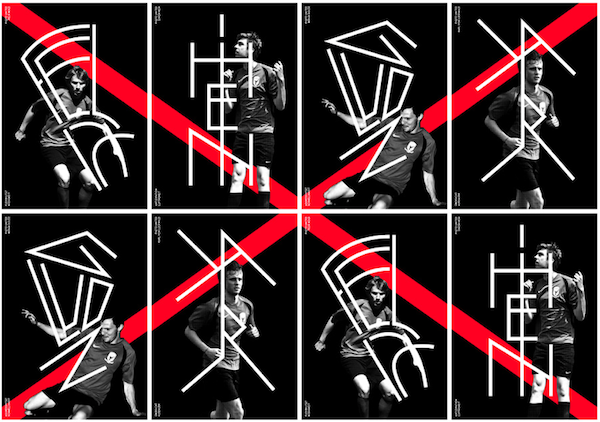 Hugo Hoppmann also created a bunch of posters, photos of the players combined with an abstracted typeface which builds the players’ names. 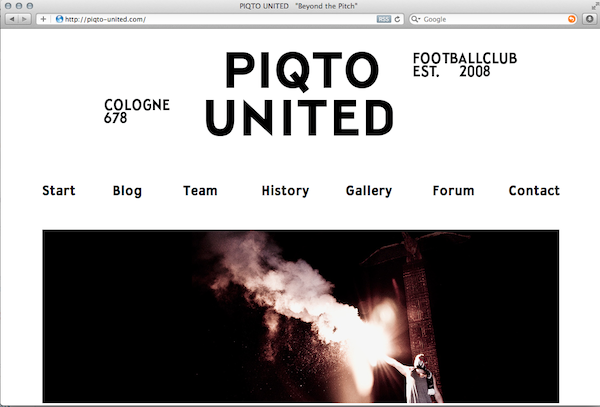 But also digitally Hugo Hoppmann kept on the visual identity of PIQTO UNITED. On the website you can find the typo P.U. Brueder as well as the organized structure you have in the magazine PIQTO GAZETTE. All in all the project PIQTO UNITED is inherently consistent. The pieces go hand in hand and build a strong visual appearance. Unfortunately the jerseys are not real but the team and everything else about is. Hugo pointed out that the jerseys and everything else IS real. 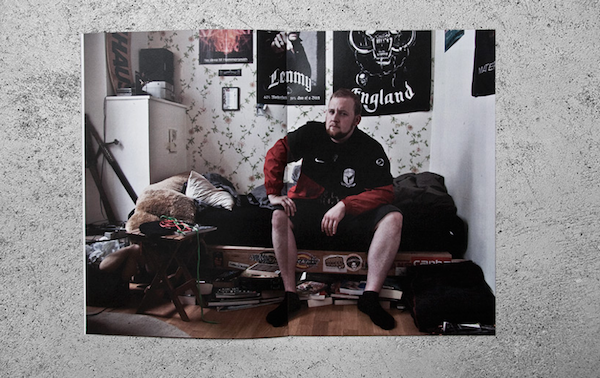 Within the fourth part of PIQTO GAZETTE – DIE REPORTAGE (the documentary) – you can see the production of the jerseys. 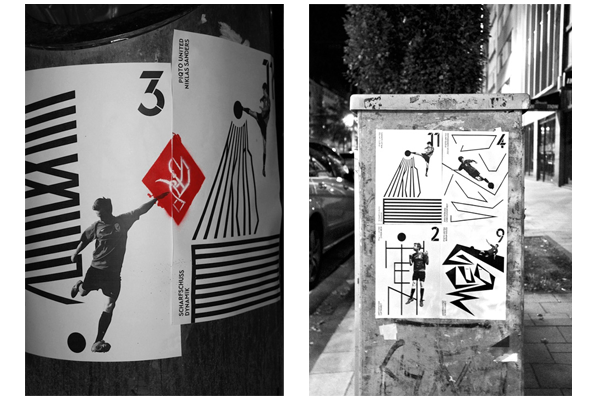 Hugo Hoppmann is part of the team and the idea was generated by combining the team and his T-shirt label PIQTO. Here you can see also more information about the development of the logo.